IAMHIST has the pleasure to announce that Shelley Stamp is the winner of the 2017 Michael Nelson Prize. She convinced the jury with Lois Weber in Early Hollywood. Shelley Stamp is Professor of Film and Digital Media at the University of California, Santa Cruz and author of Movie-Struck Girls: Women and Motion Picture Culture after the Nickelodeon; co-editor of American Cinema’s Transitional Era: Audiences, Institutions, Practices; and founding editor of Feminist Media Histories: An International Journal. Among early Hollywood’s most renowned filmmakers, Lois Weber was considered one of the era’s “three great minds” alongside D. W. Griffith and Cecil B. DeMille. Despite her accomplishments, Weber has been marginalized in relation to her contemporaries, who have long been recognized as fathers of American cinema. Drawing on a range of materials untapped by previous historians, Shelley Stamp offers the first comprehensive study of Weber’s remarkable career as director, screenwriter, and actress. Lois Weber in Early Hollywood provides compelling evidence of the extraordinary role that women played in shaping American movie culture. Weber made films on capital punishment, contraception, poverty, and addiction, establishing cinema’s power to engage topical issues for popular audiences. Her work grappled with the profound changes in women’s lives that unsettled Americans at the beginning of the twentieth century, and her later films include sharp critiques of heterosexual marriage and consumer capitalism. Mentor to many women in the industry, Weber demanded a place at the table in early professional guilds, decrying the limited roles available for women on-screen and in the 1920s protesting the growing climate of hostility toward female directors. Stamp demonstrates how female filmmakers who had played a part in early Hollywood’s bid for respectability were in the end written out of that industry’s history. 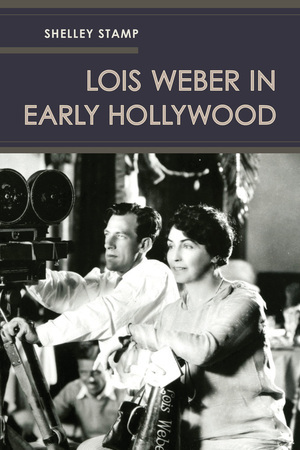 Lois Weber in Early Hollywood is an essential addition to histories of silent cinema, early filmmaking in Los Angeles, and women’s contributions to American culture. You can view Shelley’s piece on Lois Weber’s Shoes (1916) published in the IAMHIST Blog here. Our programs in film and moving image studies offer multidisciplinary and transnational approaches. Develop the tools and visual literacy necessary for aesthetic, historical and cultural analysis of cinema and audiovisual media. Under the guidance of the research and teaching assistant Anna Luise Kiss, a group of nine postgraduate students of the Film University Konrad Wolf currently do research on the way, extras and bit-players were employed during the period of the UFA (Universum Film AG founded in 1917), DEFA (German Film AG of the GDR) and the Studio Babelsberg, the latter still existing nowadays. To present the results of the research project and enable high level scientific exchange and a hands-on perspective on this field of research, the students furthermore organize a workshop. It will take place in Potsdam (Germany) in July, 2017. Submissions from advanced scholars, early-career researchers and doctoral students are welcome. Artists are also encouraged to participate with videos or films. To broaden the perspective, submissions on historical consultants are highly welcome as well. As for historical consultants, in general they are treated like bit players, or as nothing more than window-dressing.